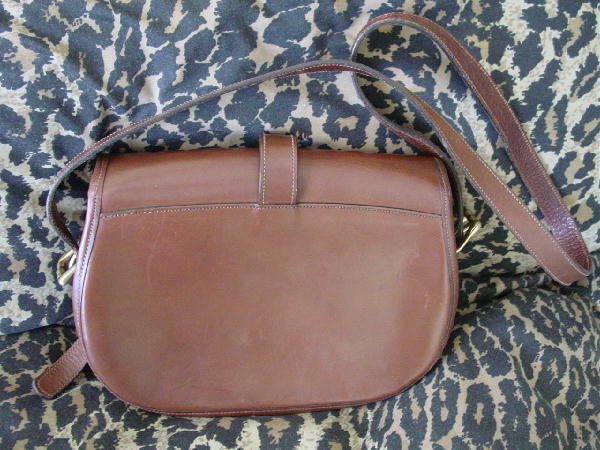 This vintage brown leather purse was made in the USA by Dooney & Bourke. 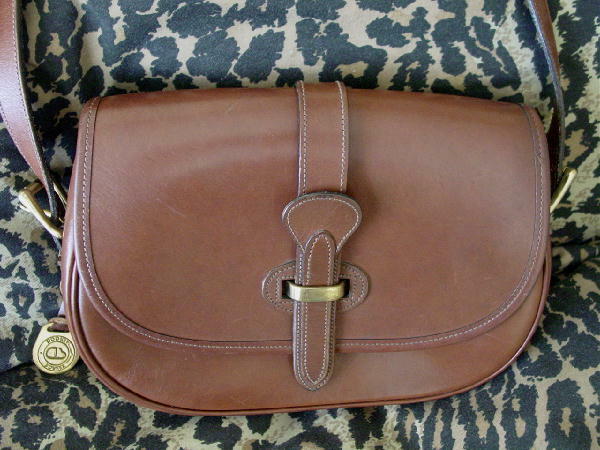 The front lid has a horizontal slot which fits over the solid brass front loop closure. 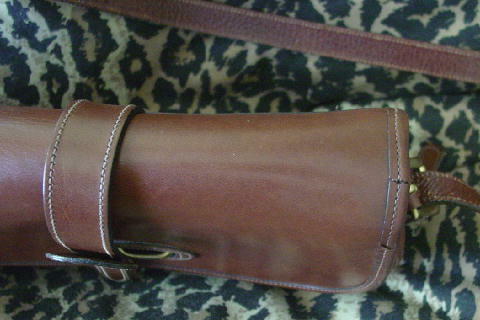 There is an 8 3/4" long leather strap which slips through the brass slot. 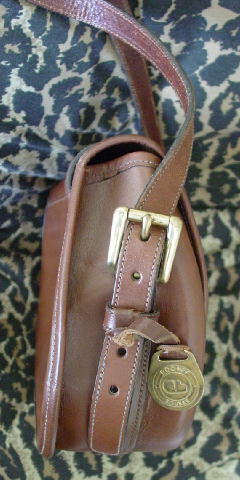 There is a 48 3/4" long by 3/4" wide shoulder strap with brass buckles on each side so the strap can be adjusted. 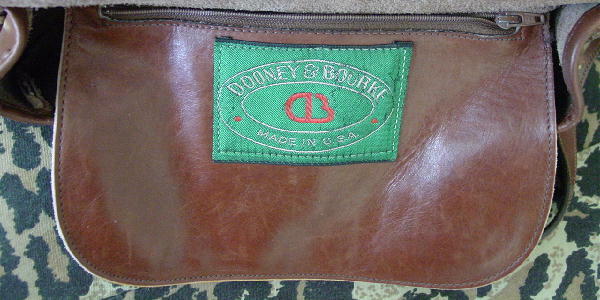 The interior has a zippered leather pocket with a green fabric logo tag. The exterior has scuff marks and several small indentations, probably from leaning against something. 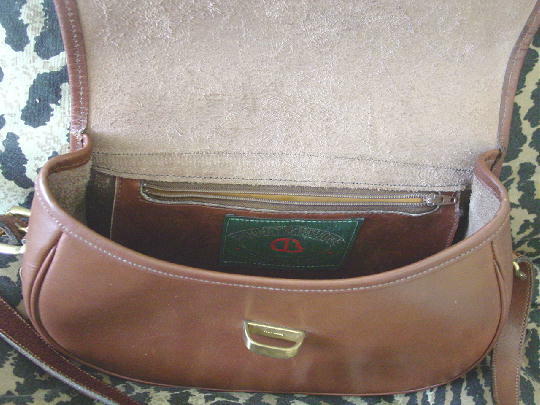 There is a surface crack in the edging leather on the right top side, but it does not go through to the underside. There is a leather strap and brass logo ornament on the left side.